The Geekvape Aegis Mini 80W TC Starter Kit includes Aegis Mini Box Mod and Cerberus Sub Ohm Tank. 5 fashionable colors available. 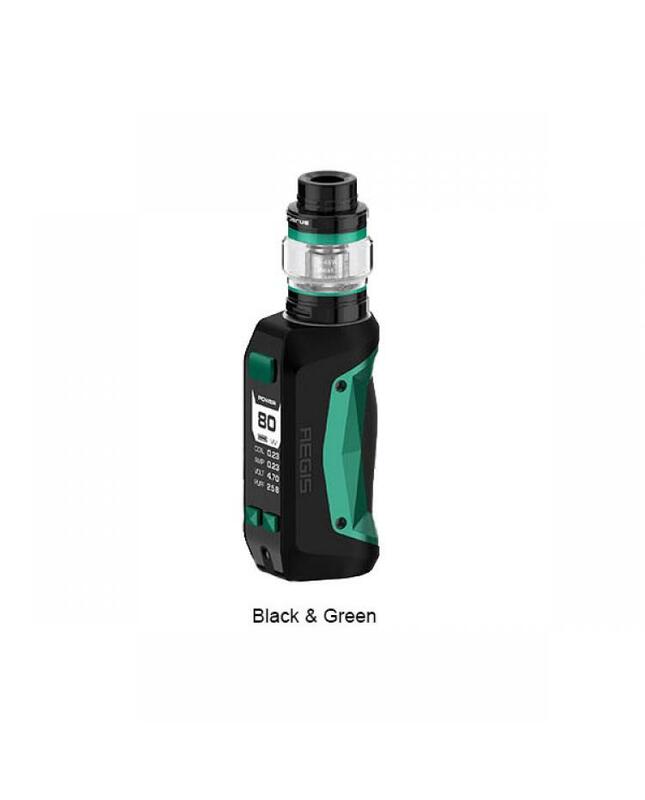 the Geekvape Aegis Mini Mod is designed to be the most durable mod with extreme water, shock, and dust protection, the mixture of alloy, leather, and SLI silicon provides intense durability and great ergonomics, it equipped with the advanced AS chipset, allow the geekvape mod fire up to 80watts, which fires extremely fast as low to 0.01seconds, accurate and supports temperature control for Stainless Steel, Nickel 200 and Titanium. the aegis mini built-in 2200mah battery, with 2A quick charging system, which can charge up to 80% in 30 mins. 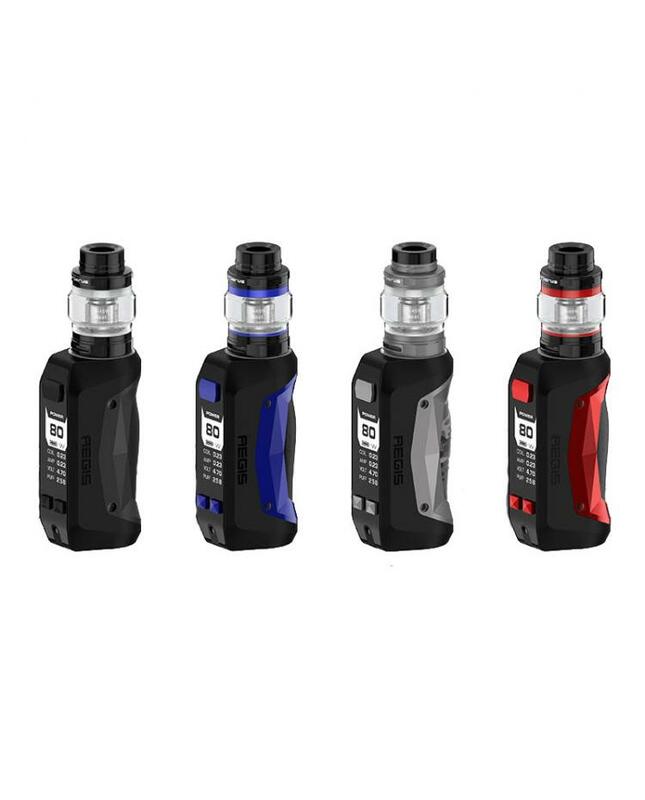 it comes with a large clear display screen, will show vaping data clearly. the Geekvape Cerberus Sub Ohm Tank comes with a bubble style glass tank, which allows it can hold 5.5ml e-juice, the 4.0ml regular glass tank included. the Cerberus tank comes with Super Mesh X2 0.3ohm Coil Heads, which maximizes heating contact surface area in order to provide maximum flavor and large vapor production. the Super Mesh Coils are compatible with Aero Mesh Tanks too. this tank with a quick access top e-liquid refill system, allows vapers inject your favorite e juice simply, the dual large airflow adjustable slots on base, allow vapers to adjust the airflow to your preference quickly. the Aegis Mini will be a good choice to start users or experienced vapers.